The selectors’ choices for India’s World Cup squad give Virat Kohli and Ravi Shastri enough options to take on all comers in all conditions. Bengaluru: There are many difficult jobs in Indian cricket but few quite as thankless as being a national selector. In a country where quality cricketers are plentiful, each time a squad or team is selected, about 15 people are overjoyed, but the vast majority are left with an axe to grind. Truth be told, the job is more about rejection than selection, for the task is whom to leave out, rather than whom to pick, when it comes to contentious positions. The selection committee, led by M.S.K. Prasad, has resisted the temptation to make any left-field selections, stuck to tried and tested, and built a sturdy squad for Virat Kohli and Ravi Shastri to mount their World Cup campaign. There was one especially tricky call to make, and that was the spot of the reserve wicketkeeper. While public opinion was firmly behind Rishabh Pant, one of the most exciting young cricketers doing the rounds, and also the current first-choice Test wicketkeeper, the selectors plumped for Dinesh Karthik. There is temptation to look at this as a backward step, given that Pant is 21 and Karthik is nearly 34, but there is a clear and logical reasoning for the selection. “It’s definitely a case where we have debated at length, and all of us, in unison, felt that either Rishabh Pant or Dinesh Karthik will only come into the playing XI if M.S. Dhoni is injured. So, at that juncture, if it is a crucial match, like a semi-final or an important game, wicketkeeping also matters,” Prasad said. The chairman of selectors mentioned Karthik’s wicketkeeping, but it as much his batting in crunch situations — the manner in which he can keep his cool in a tight corner — that won the day. Karthik, it’s worth remembering, is the senior-most member of this squad in terms of experience, having made his international debut three months before Dhoni. Karthik featured in the 2007 World Cup, but was out in the wilderness in 2011 and 2015, which makes his return to the squad for 2019 all the more impressive. The other thing that worked in Karthik’s favour was India’s choice at No. 4. There was no place for Ambati Rayudu, who was given the longest rope of all candidates to make that place his own but lost form at a critical time, or Ajinkya Rahane, thought to be a banker at that position. Instead, the selectors chose Vijay Shankar, who has been used as a bowler who gives it a thrash in the lower order. Shankar’s true game is as a top-order batsmen who contributes a few steady overs when the conditions stack up right. However, given how little cricket he has played at the international level, India will observe his efforts at No. 4 closely. And should he fail to come good at that position after a few matches, Karthik could step in to fill the breach, more consistently and safely than Pant. There was also place for K.L. Rahul and Ravindra Jadeja, although the two were by no means guaranteed to be starters in the playing 11 first up. With Yuzvendra Chahal and Kuldeep Yadav being the frontline spinners in limited-overs cricket in the recent past, Jadeja was likely to feature only certain conditions, such as wet days when wrist spinners might struggle to grip the ball, or very late in the tournament on a dry surface when spin stocks needed topping up while maintaining the balance to the playing eleven. The squad that this selection committee has picked more than covers all bases. On the surface, it might appear that India are one specialist batsman light, but they have three all-rounders, three out-and-out quicks, two specialist spinners and Kedar Jadhav to bolster the big guns, Rohit Sharma, Shikhar Dhawan and Virat Kohli. While this squad is a provisional one, and can be changed without the ICC’s permission till May 23, it is difficult to see any changes being made, unless forced by injury. If the specialist batsmen step up and do their bit, this squad has enough options and firepower to take on all comers in all conditions. 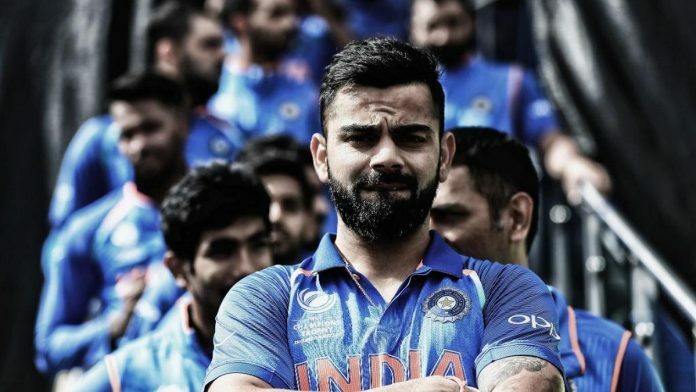 India squad for 2019 World Cup: Virat Kohli (c), Rohit Sharma (v-c), Shikhar Dhawan, K.L. Rahul, Vijay Shankar, M.S. Dhoni (wk), Kedar Jadhav, Dinesh Karthik, Yuzvendra Chahal, Kuldeep Yadav, Bhuvneshwar Kumar, Jasprit Bumrah, Hardik Pandya, Ravindra Jadeja, Mohammed Shami.